I don’t know if I have just never noticed before (I can’t really imagine I would have missed that? 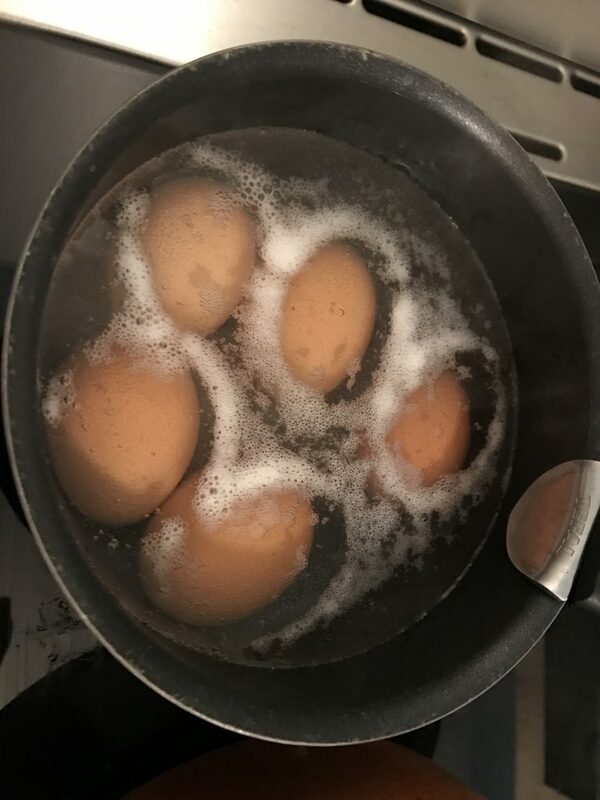 ), if it never happened when I have boiled eggs because I always boil my eggs with more bubbles and hence more turbulence, or if French eggs are just different from german eggs? But living in this shared flat in Grenoble is proving to be quite educational. Not only have we learned that you should never wash eggs because that destroys some protective layer of “hen juice” (technical term coined by Nadine), we also learned that a peanut and a salted peanut have different names in French (l’arachide vs la cacahouètte), and that there are cheeses with a layer of ash in them. But anyway, I don’t think it’s foam that comes off the eggs, I think it’s coming off the bottom of the pot. 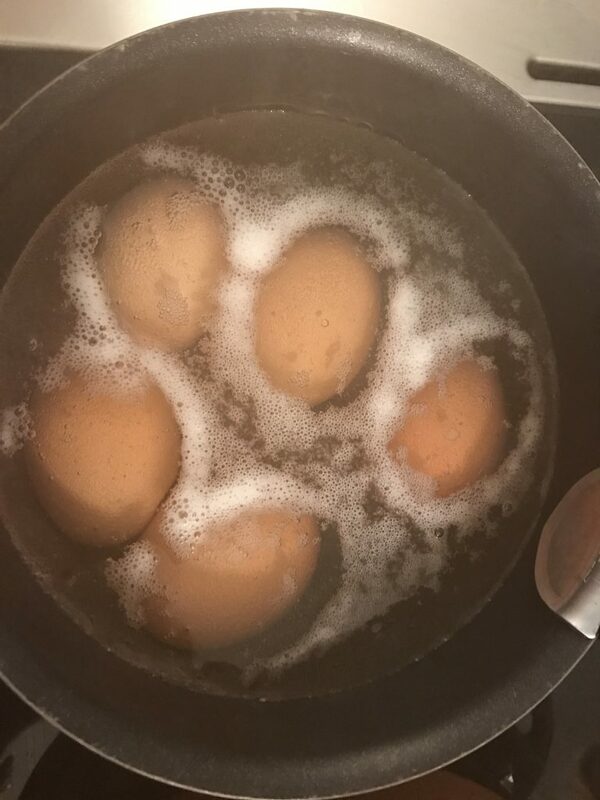 Because if those bubbles are raising up from the bottom, that would explain why there are more bubbles around the edges of the eggs (when they had to move around the eggs to get to the surface) than in between, and that there is hardly any foam above the eggs? Or what do you think? 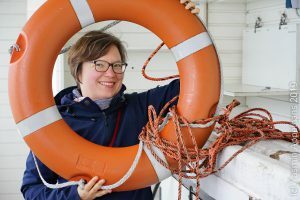 And then, of course, we are learning all the cool oceanography stuff, too, and you can read all about it over on Elin’s blog! 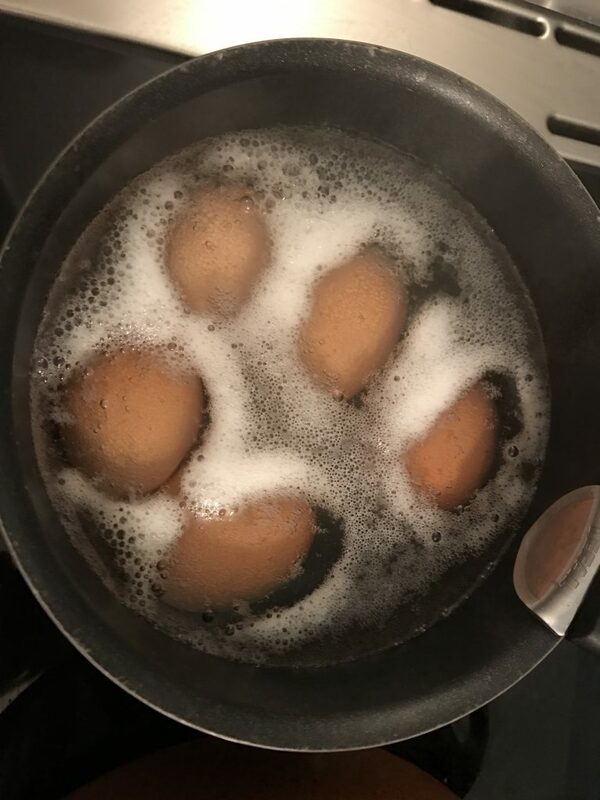 This entry was posted in observation and tagged boiling, EDarelius&team, eggs, foam, kitchen oceanography: food related on September 9, 2017 by mglessmer. The eggs were delicious – independent of the origin of the foam…. Most of them were eaten at 1500 m height when hiking a nearby mountain this weekend!